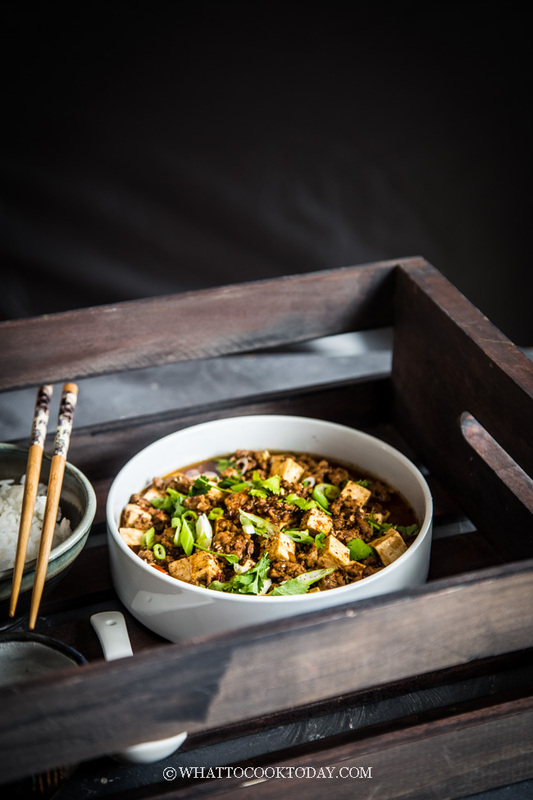 Easy MaPo Tofu (Spicy Sichuan Minced Meat Tofu)-Learn how to make this easy yet authentic tasting Sichuan Mapo Tofu. 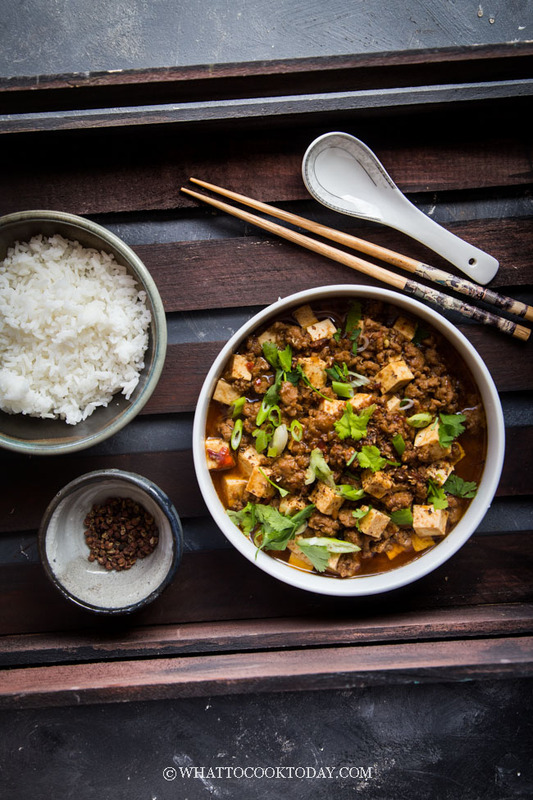 This classic Sichuan dish will quickly become your favorite. I’ve made this ever since I was in college. 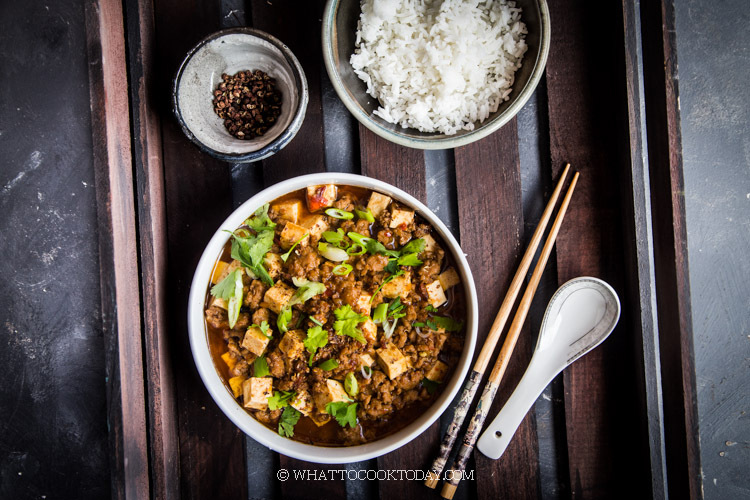 It’s like one of the easiest one-pot Chinese dish to prepare. I remember how my sister often teased me whenever I decided to cook back in those days. 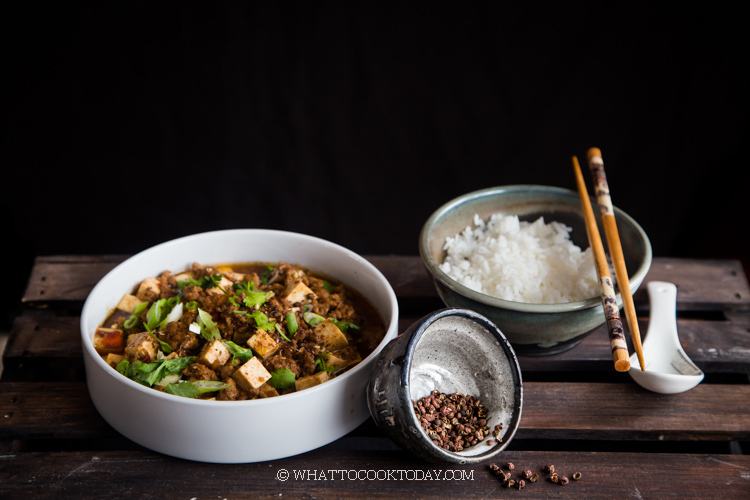 She knew we would be having mapo tofu ha..ha…! I always have some sort of ground/minced meat and tofu in our fridge. So, needless to say, this appeared on the menu pretty often. 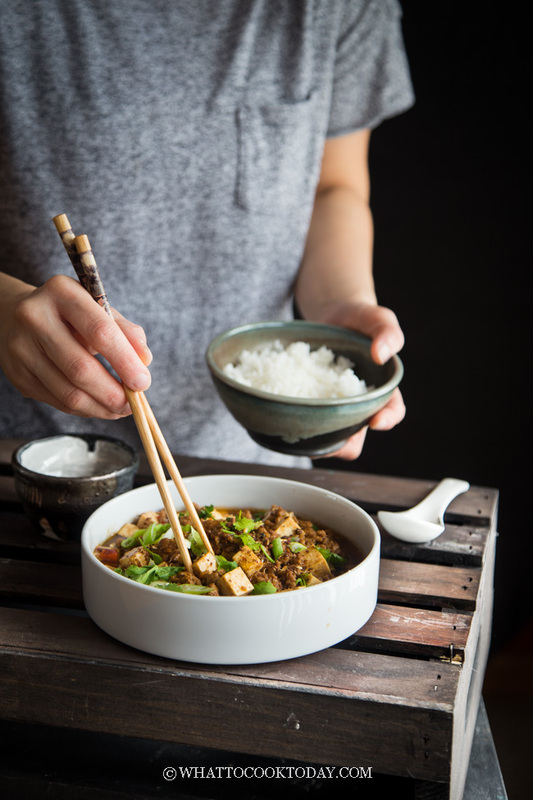 You probably don’t need me to tell you that mapo doufu, or mapo tofu, is a popular Sichuan dish. 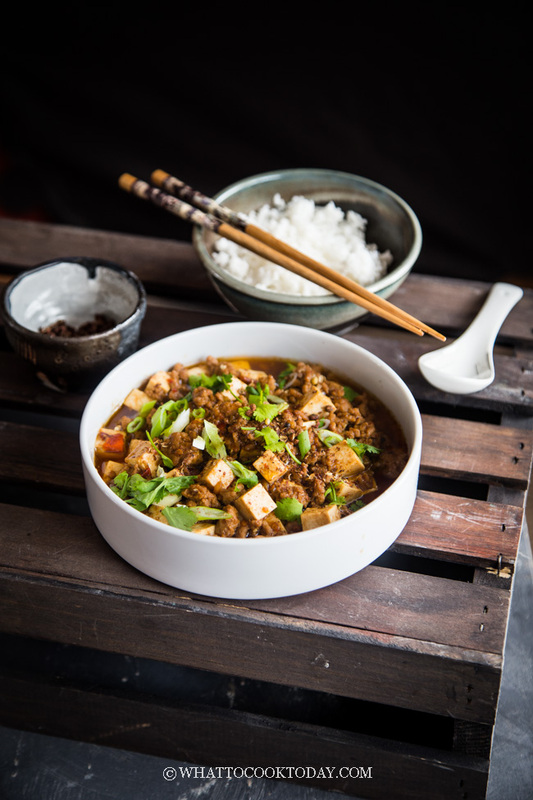 It is a combination of tofu (bean curd) in a spicy chili oil and Chinese chili bean paste (dou ban jiang), often cooked with minced pork and amplified by the numbing Sichuan peppercorns. I know it sounds weird, but I love that numb sensation these peppercorns give on the tongue. 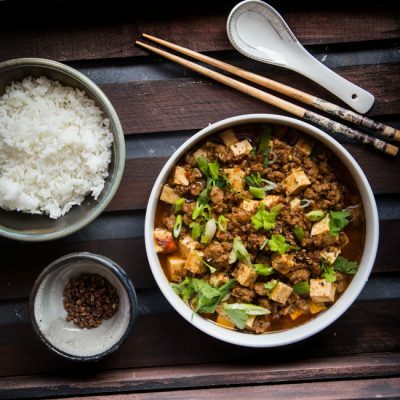 You can use ground turkey, chicken, or beef. A fatty cut of meat like pork belly slices will be very tasty too. To the same wok and oil, add aromatics and stir fry for about 30 seconds or until fragrant. Watch out not to burn them. 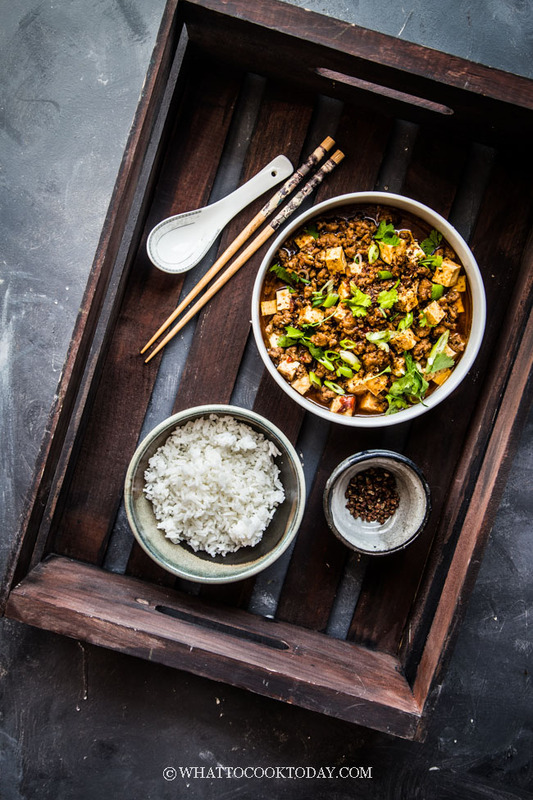 Add ground pork and stir-fry for 2 minutes and use the wooden or metal spatula to break up the meat while stir frying.